"Gilmore Girls: A Year in the Life" star Jared Padalecki was recently mistaken for the guy who attempted to climb the Trump Tower. According to Vanity Fair, the 20-year-old man who climbed the tower did so to seek counsel from the presidential hopeful. He was arrested by New York police officials. Meanwhile, several fans of the "Supernatural" actor noted the similarities he had with the 20-year-old unnamed suspect. Following the reports, Padalecki tweeted, "I would like to wish #BizarroJarpad the best of luck in climbing the Trump Tower." Padalecki also went as far as posting a frontal photo of the man who climbed up the prestigious building in the Big Apple via his Facebook account. "To clear things up, this is NOT me trying to scale the Trump Tower in NYC. I am safe and sound in Vancouver filming #Supernatural. So please stop asking." In other news, Padalecki previously filmed his scenes for the upcoming Netflix revival "Gilmore Girls: A Year in the Life." 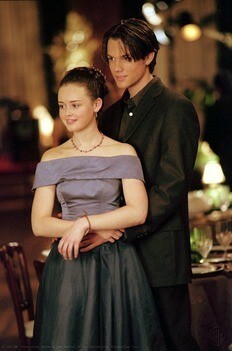 In the four-episode series, Padalecki will reprise his role as Dean Forester or Rory Gilmore's (Alexis Bledel) first boyfriend. There are ongoing rumors that the two characters could end up together. However, the actor told Entertainment Tonight that it felt good to return to Stars Hollow - not to win back Rory, but to actually have a closure with her. "I will say a lot more than I am supposed to. Creator Amy Sherman-Palladino basically said, 'Listen, we're going to write you a really cool scene and if you get a day off, let us know and we will just put your scene on the schedule for that day. She was like, 'It's a set that we already run and own, it's an actress that already is working every day, so let us know,'" he said. "Dean has a cool scene in the market he used to work at. It's a really nice scene that gave me closure," he said. "Gilmore Girls: A Year in the Life" will premiere on Netflix on Nov. 25. ‘Gilmore Girls: A Year in the Life' spoilers: Jared Padalecki teases episode 1 'Winter'; August 1 release date? ‘Supernatural’ Season 12 will be run by a two-man team; CW CEO will never end ‘Supernatural’ as long as Jared Padalecki, Jensen Ackles can do the show?